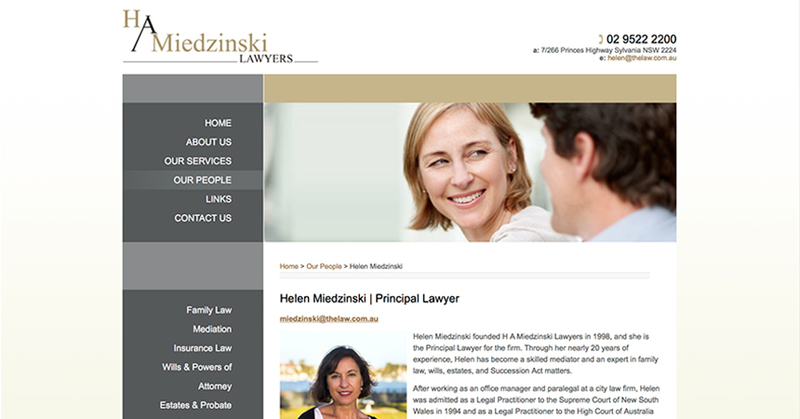 In 2013, I created a new website for H A Miedzinski Lawyers, a small law firm in Sydney specializing in family law, wills, mediation, and commercial law. 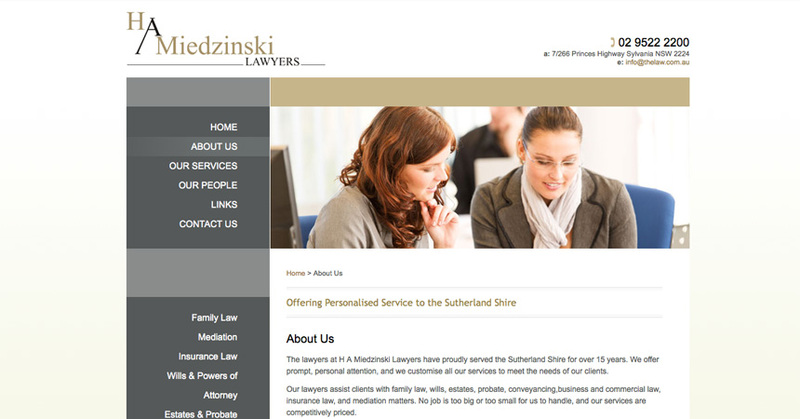 As part of this six-month project, I drafted a website plan, wrote the site content, placed the content into the Umbraco Content Management System (CMS), compiled search engine optimization (SEO) information, and added that SEO information—and the resulting keywords—into the website’s HTML code. I provided my client with two rounds of edits to each page of the content, and I placed all of the website text and images into the Umbraco CMS, which powered the website. 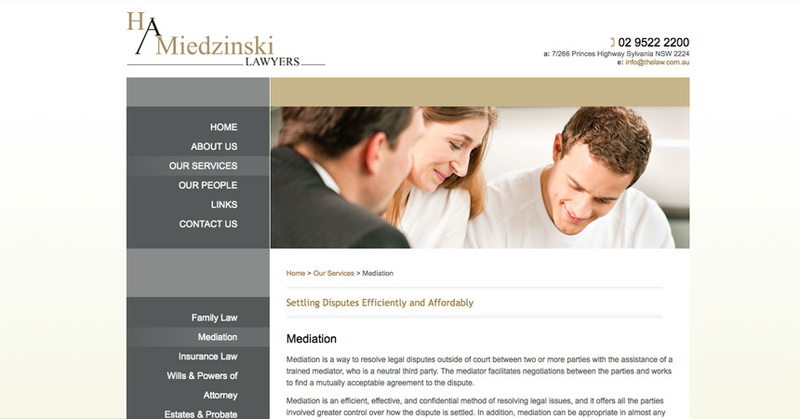 I used my new knowledge of the firm, along with my initial research, to create SEO keywords and information for the entire website and for each individual webpage and added them into the website’s code. 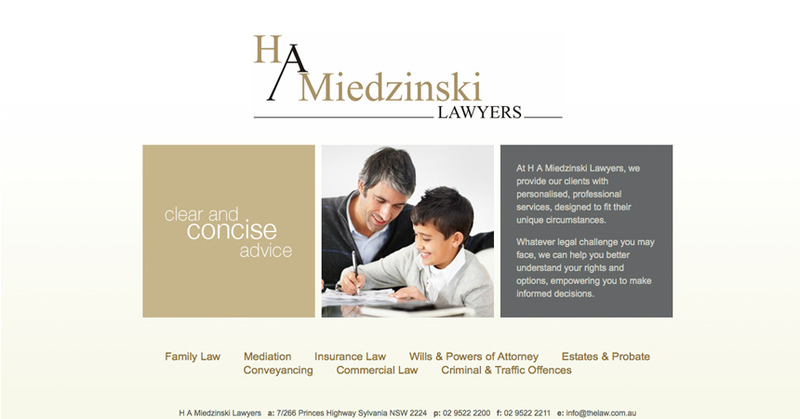 To view the website and read the content I wrote, please visit the H A Miedzinski Lawyers website.